Hi y'all. I'm new here. Need some help figuring out. Which is the above shoukd I get? Fyi, I played TDs and some of the others as well. Originally I wanted to get the su-122-44 since I'm fsmiliar with it a bit but after reading some various old posts, some said su-122-44 is not so good anymore now. Some get the the m56 scorpion better now. 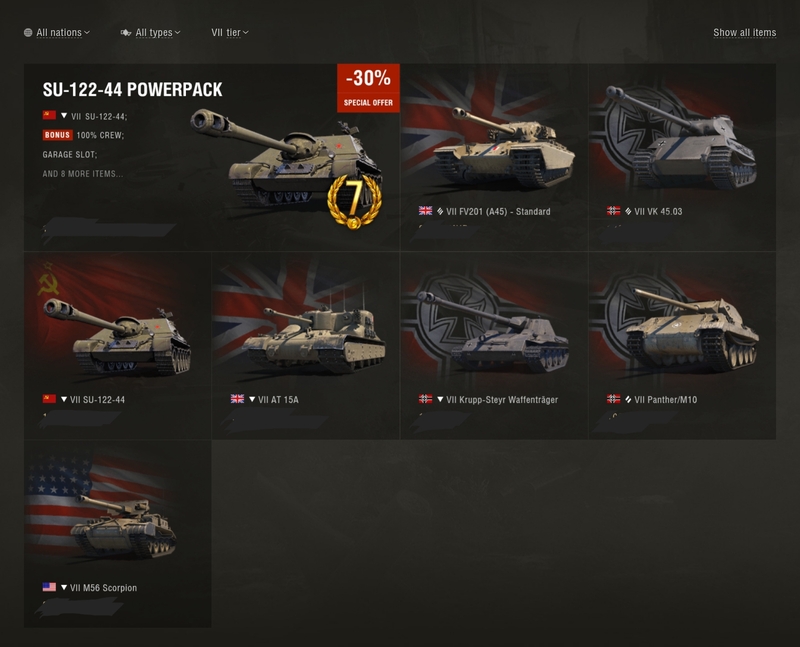 Just need a cheap tank for credit grinding, thats all. Go the 122 44. Still game breakingly good. Nice to see su-122-44 still got the vote. What about the other. Im not fsmiliar with the others. Do not under any circumstances get the m56 scorpion. It is a pile of garbage. SU122-44 all the way. Okay. since you all agreed su-122-44 is the best choice there, I'll go and get it. nearly choose m56 there for a while. got it! played it!! and reloving it!! this td is still great despite the negativity of some!! I'm not sure where the negative comments on the 122-44 are, its a damn amazing machine. Good to see you are enjoying it.